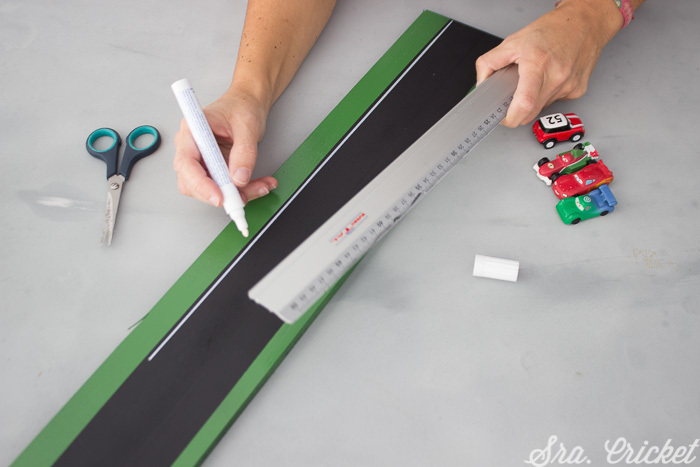 In this tutorial we team up with one of our Spanish Bloggers ‘Senora Cricket’ to bring you a great magnetic height chart project which uses our new magnetic spray paint to create a vertical car track which would look great in any home. 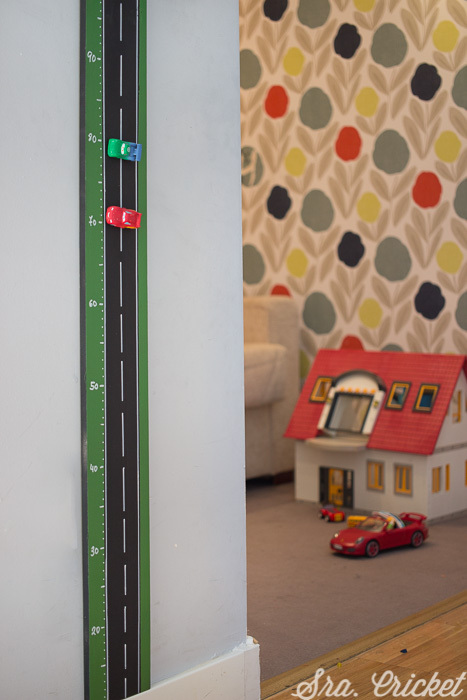 The goal is to create a height chart which looks like a road and can be vertically mounted on the wall. Each child (and adult!) 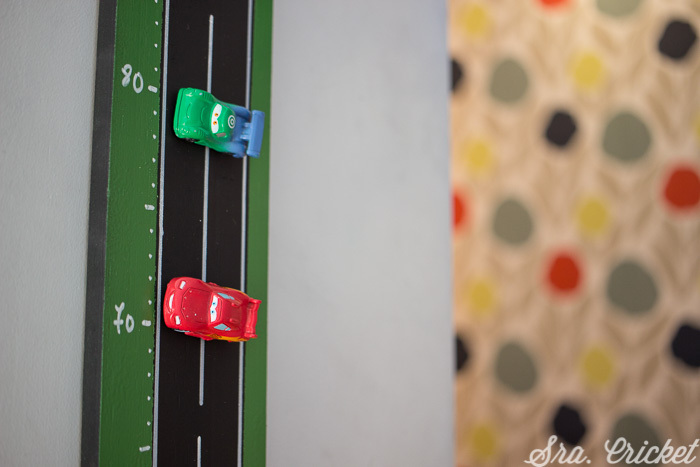 can have their own car to mark their height and as the child grows the car can move further along the road. 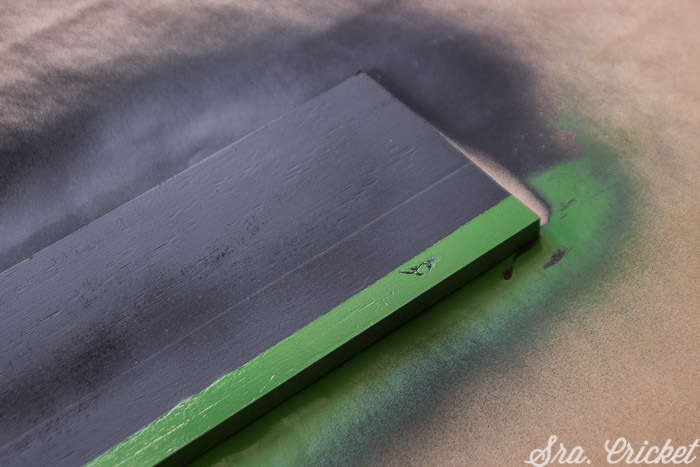 1º.- Make the wood plank magnetic! First, we have to magnetise the wooden plank. 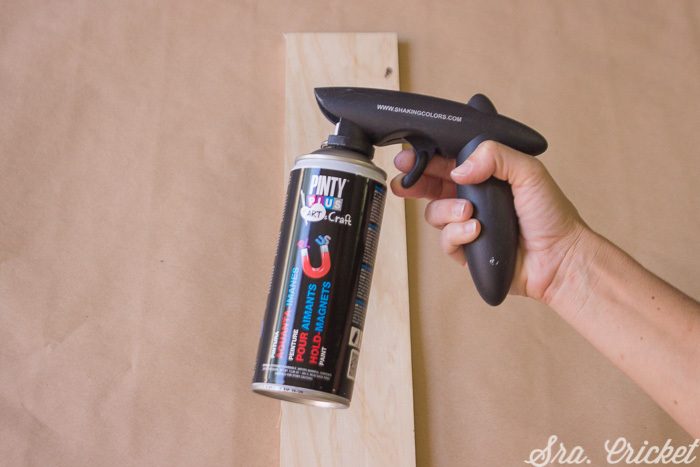 To do this, we will use our Pinty Plus magnetic spray paint. 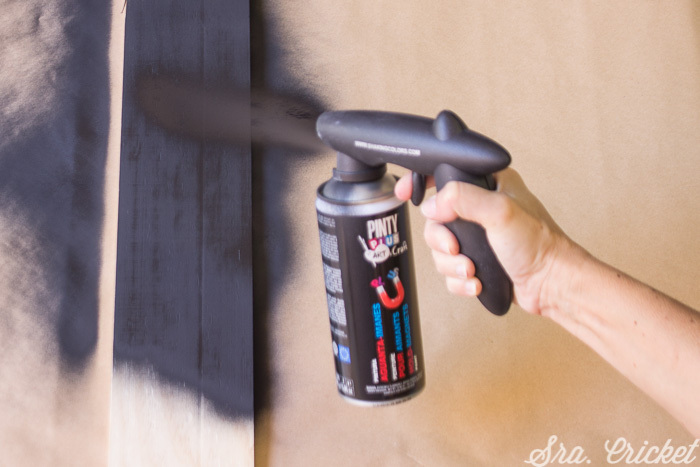 Remember that this paint is designed to magnetise lightweight objects, so the more layers we apply, the more magnetic it becomes, and the more weight it can hold. Therefore, given that we want it to hold toy cars, we advise three coats of paint. 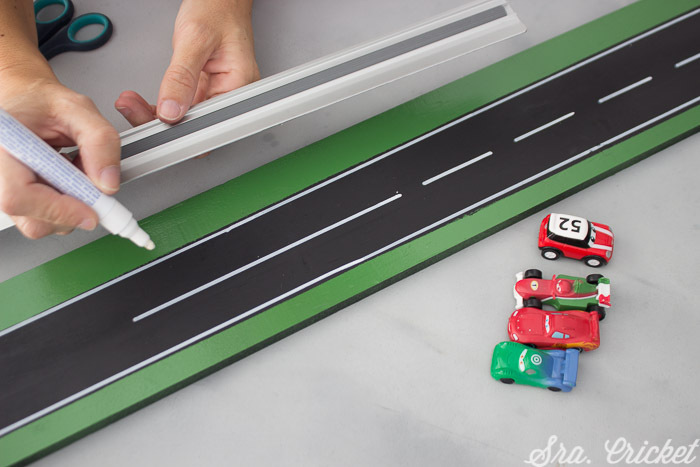 Next we will paint strips of colour on the side of the road with Pinty Plus Evolution acrylic spray paint.We have chosen to paint the strips at either side of the road green to look like grassy verges, but you can choose any colour to match your child’s room. 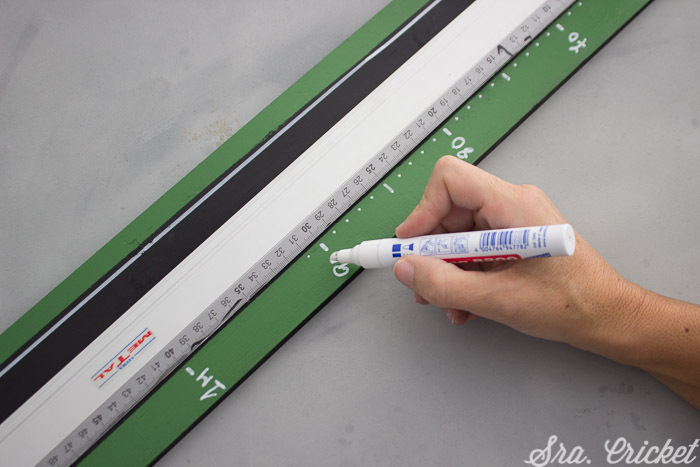 Before you paint mask off the centre of the height chart to keep it black for the road using tape and paper. When choosing the width of your verge ensure that one side is wide enough for you to write your height measurements on. 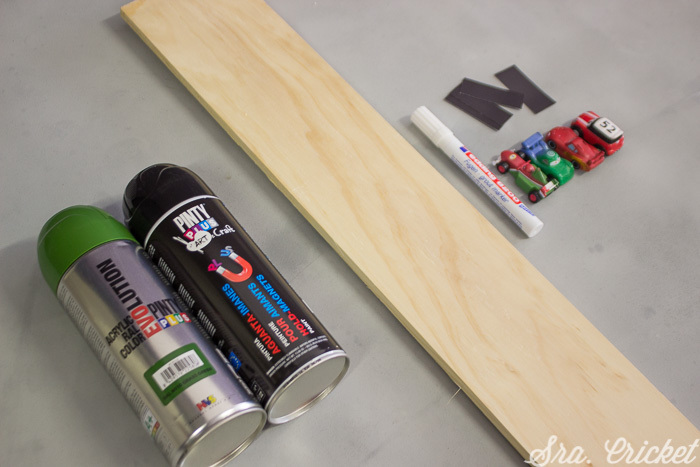 To give the final touch that makes our wood look like a road, we need to create the white lines. We will do it with a permanent white marker. We paint continuous lines on the sides and dashed lines in the middle of the road. We also mark the points and the stripes that are our height measures. 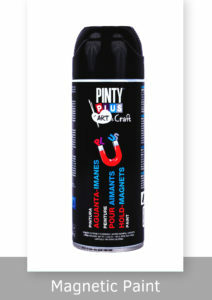 Finally, remember that the spray magnetic paint is not in itself a magnet. 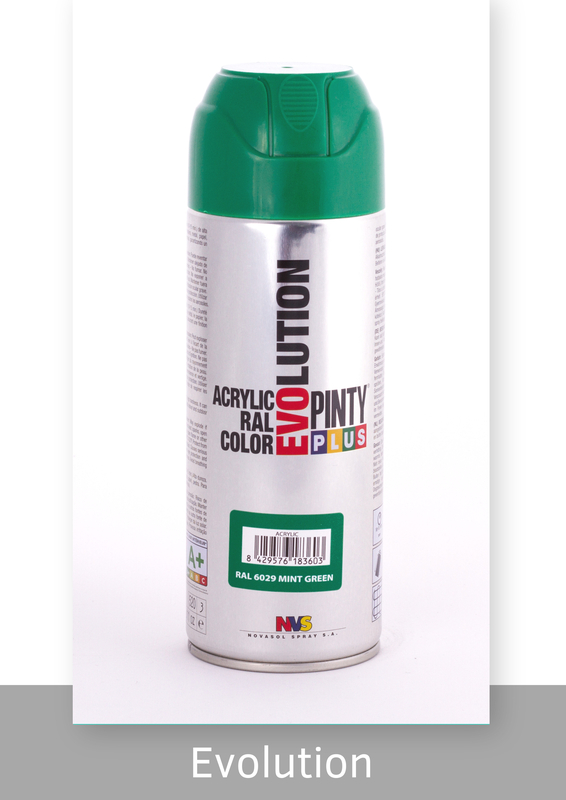 It is a spray compounded with metallic particles that allows the adhesion of magnets onto the painted surface. So we need to turn the cars into magnets in order for them to stick to the surface. For this, we will use magnet sheets that we will fix to the bottom of the car. Finally, we will fix the road on the wall. Remember that it is a height meter, and, therefore needs to either start from the ground or from a correctly calculated position. As Senora Cricket has a skirting board she has chosen to remove the first 10 centimetres from the bottom the chart so it can be placed slightly off the floor. 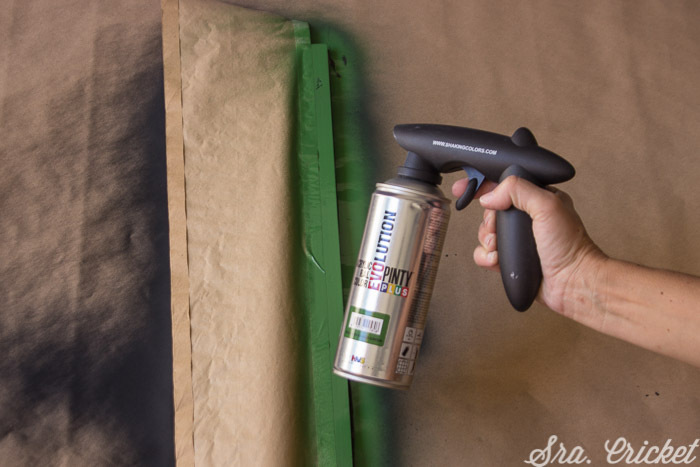 To fix the wood on the wall, use double-sided tape.